Courchevel Moriand (formerly Courchevel 1650) is the place to go for affordable hotels and lively nightlife, with a great selection of apres bars and clubs open until the small hours. 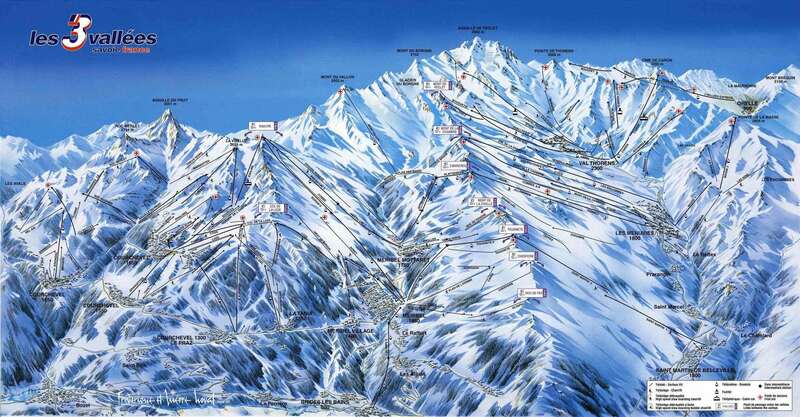 Courchevel is a cluster of four resorts at the northern tip of the 3 Valleys ski area. There is a good selection of shops here, including a Carrefour supermarket which self-caterers will find useful. The free bus links all four Courchevel villages from early morning until around 1am the following morning so it is easy to explore the other villages during the day or for a change of scenery on a night out. There are 2 ski lifts from Courchevel Moriand into Courchevel (1850), ensuring that easy access into the 3 Valleys is still possible and a day ski trip into the furthest resort of Val Thorens is well within reach. The ski area above Courchevel Moriond has some lovely long green runs for Beginners to graduate to from the nursery slopes. Intermediates have a selection of blue and red runs to discover in the immediate area, including the lovely Chapelets run, before moving on to explore the rest of the local area. The slopes above Courchevel Moriond are wider and usually a little quieter than those higher on the mountain and there are some good areas for heading off-piste. There are also some great tree-lined runs for days when the weather closes in. Courchevel Moriand is an attractive old village with quietly situated chalets, but it does offer a lively nightlife. It is also only a short bus journey from Courchevel 1850 for those wanting more evening entertainment during your ski holiday. The bubble bar: Live music, mad staff and more flavors of vodka than you can shake a stick at! Space Bar: intimate with cheap beer. Every Thursday night is band night.